Tricycle magazine is awesome. It's launched the desire to read 4 books. I loved the excerpt on boredom from Sangharakshita's latest Living Wisely: Further Advice from Nagarjuna's Precious Garland. I read his first book on Nagarjuna's Precious Garland, and I want to read this one. Sangharakshita is my root teacher, to whom I'm eternally grateful for. I enjoyed reading an excerpt by Shozan Jack Haubner from Zen Confidential: Confessions of a Wayward Monk. What I liked about the excerpt was that it was genuine, authentic and honest. Nothing special. I want to read Kyra Phalen's novel Siddhartha The Warrior Prince. I want to reread Herman Hesse's novel, too. To compare and contrast the two books would be interesting for a book club. Maybe. I want to read the poetry of Marie Howe, like in her last book The Kingdom of Ordinary Time: Poems. I found the 3 poems quite good, in the magazine. In the interview she talks about taking care of her brother during his sickness unto death. She's supposedly the poet laureate of New York, my adopted home state. The Empire State. Not sure what that means. And I enjoyed the teaching from Thanissaro Bhikkhu and Pema Chodron, two A list Buddhist teachers. I'm grateful for this issue to arrive. The previous one didn't and it seems there's no amount of e-mails that can be written to fix the matter. This modern world; all kinds of technology with little glitches. There's a lot of articles about technology in this issue that I haven't read. I have to say that for me the experience of technology is at once empowering, intoxicating and frustrating. It seems like you can do things, but at the same time requesting the issue they never sent seems like an impossibility. Reminds of the movie Brazil where a fly causes the wrong man to be sent to jail. I don't mean to whine about not getting the issue, I think I could replicate this experience countlessly. I have a swank car that somehow leaks inside. It's never been the same since someone smashed a window and stole my airbags, and a tire went flat. My laptop has broken countless times, most of it my kids spilling water on it or dropping it. My iPhone has had problems at times, I wasn't getting crucial text messages for a while there for no reason I could understand. The wifi in my apartment goes out inexplicably, and you don't know whether it's the host server, lots of traffic on the internet, my provider having heavy traffic, my modem having a problem, my router having a problem, the airport in my computer or my computer. When it doesn't work, I've just mentioned 6 possible weak links, and there's probably others, like my battery dying on me, or the human element that I've just done something wrong--but I inherently feel that technology should work for me, not the other way around, that I have to work for it. I remember when the mother of my children was giving birth there was a nurse who sat in the room inputting stuff into a computer. She never even really looked at us, she was just there to tend to the computer's needs. Technology just seems so inevitable, like that's the way it's got to be, the whole shebang is a runaway train that you just need to step off the tracks, do not try and stop it. Yet I'm so bewitched I'm writing a blog. I just reread my review of The Bliss of Inner Fire, thought it was interesting. Wrote that a while ago with a really good editor helping me shape it. I have the fantasy that there is a perfect book out there for my next spiritual step. A book like The Bliss of Inner Fire by Lama Thubten Yeshe complicates things. It’s the kind of book that spawns a list of other books to read: First off, Tsongkhapa’s Having Three Convictions, or The Six Practices of Yoga by Naropa, which Lama Thubten Yeshe refers to quite a lot because they are his root texts. The Bliss of Inner Fire by is based on Lama Yeshe’s talks on the last two intensive retreats that he gave before he died in 1984 at the age of 49. He chose to talk about tummo, one of the six yogas of Naropa, which is explored in Tsongkhapa’s Having the Three Convictions. Tummo is the practice of inner fire. It’s the practice where you can sit outside in the winter and not feel cold — but that’s the exciting magical explanation. Lama Yeshe isn’t into these exotic claims, he’s a real Buddhist. It turns out that it’s like every other practice — it’s designed to move you towards enlightenment. The sense of concentration and insight of deep meditation has a kind of convergent tendency. Lama Yeshe is from the Gelugpa school, but appreciates the Nyingma, Sakya and Kagyu schools, which are the four main schools of the Tibetan Tradition. You probably know this but it’s worth repeating: while the Dali Lama is a world spiritual leader, he is also from the Gelugpa school. Lama Thubten Yeshe was born in Tibet in 1935. At the age of six, he entered Sera Monastic University in Tibet where he studied until 1959, when he was 24. He had to flee the Chinese invasion. His main teacher was Lama Thubten Zopa Rinpoche. When he finally got to the Tibetan community in exile in India, he resumed his studies. These studies are rigorous and involve much debate, study and even all night sessions. He’s a favorite of the Gelugpa tradition perhaps because of his young death; he’s a kind of James Dean of the Gelugpa tradition. One theme of the book is the importance of practice over “book Buddhism” — a kind of dilettante Buddhism. Lama Yeshe says, “These days we have no shortage of intellectual information, but I truly believe there is a shortage of fertilization. We collect so much information, but we do very little with it. This is why we have so little success in our spiritual practice.” The dharma lives in people, not just in books. Books represent people in a way, but they are not fully embodied, not interactive. A book is circumstantial speech; it just goes on and on regardless of the reader and the reader’s needs. The book is based on talks, and so once you get past the three introductions, it reads like smooth encouraging advice for the most part. Then it gets into more complicated visualization practices, where it seems like it would be better to see these teachings live, and be able to seek clarification for yourself. He seems to be saying that desire as we know it, wanting the latest electronic gadget, or a new DVD or whatever, isn’t how to think about desire. Noticing how we add on to the story of our desires, is his point. Like “I need to maintain my status,” or, “My life is so difficult I deserve some pleasure and a DVD is the most efficient route to pleasure,” on top of the whole pleasure story. Having pleasure itself is not problematic; it’s our relationship with the pleasures. It’s not the gratification itself, but the story about it. “Ah, now I can relax now that I have a whirlpool bath.” Or, “Now that I am married, I can get on with the business of life” as if these projects truly make us happy. Not that you shouldn’t get a whirlpool bath or get married — just don’t center your story on stories of gratification so superficially. What he seems to be saying here, is that these illusions we build up are part of our life, you can’t just do an “illusion extraction,” because they are based intimately on your life. In a way it’s our whole world view that’s needs the liberating reorientation of a deeper understanding in Buddhism, the cultivation of insight. At times he makes intriguing statements without explaining, like “ordinary exercise increases superstition”. Perhaps what he’s saying is that exercise is likely to distract one into the cult of the beautiful body — but we’ll never know because he didn’t expand on it. For me, this book has too much talk of practices I don’t do, so it was difficult for me to read. Nonetheless, it’s a book worthy of a Buddhist library, for the contemporary section of one’s Tibetan Buddhism section, an informal but useful commentary on Tsongkhapa’s Having Three Convictions, which is itself a commentary on The Six Practices of Yoga by Naropa. If The Six Practices of Yoga is your root text, or you are interested in the Gelugpa tradition, you shouldn’t ignore this book. I came across this awesome book. I read a story from it to my 7 and 9 year old son. They said it was good. Maybe they could read it themselves, too. I like to read to my sons even though my 9 year old has to read for an hour each day for school and he keeps a log of what he's read and must turn it in to his teacher. That's a lot of reading in my opinion, but times are changing, people are growing up faster. I think it's cool they spend so much time reading. I just wonder about making it compulsory. When I read as a kid it was because I wanted to. I totally love reading now, it brings me so much joy. And I didn't have awesome books like The Buddha's Apprentice at Bedtime. I have reviewed many awesome children's books that were Buddhist. I think in some spiritual traditions there's a lot of stuff for children, so you can begin them early. While some take a real spiritual turn at a young age, for me the turn towards spirituality came 11 years ago when I was 34. My kids are learning two spiritual traditions. Their mother is Catholic. They have sunday school where they can teach the children the traditions. In a way, I see sunday school as a kind of cultural thing, a family thing. Learning about religion at a young age isn't a bad thing, even if it's not my tradition. As a Buddhist in America, I am very aware of other spiritual traditions. I do like to share my tradition with my kids. Last night we watched Little Buddha for the first time. I've been waiting to show that to them. I think they were OK with seeing it at age 7 and 9. This movie splices the story of the life of the Buddha with a narrative about a boy who has been recognized as a Tulku in the Tibetan tradition. The family is skeptical because they are not Buddhist, but they go on a journey of discovery too. I've learned a lot about the Tibetan flavors of Buddhism, but I don't practice in that tradition, so in a way it's a weird kind of introduction. I'm like the guy in the movie who ends up wishing he believed in reincarnation. Many years ago, there was a guy who was wooing my roommate. He was a bit portly, not the greatest looker, but he was kind, thoughtful and because he wasn't so good looking, he didn't get caught up in a lot of the shenanigans people get caught up in. My memory is of him getting amused at the stupid things people do. One thing he had in common with the roommate was a kind of critique of how silly others live, poor decisions others make. He did eventually woo my roommate, and even though she denied nothing was going on with him. One day we got a wedding invitation. He'd worn her down. I can't say he was friend because we never chose to hang out together, just him and me, and it was circumstances that we were in the same room. He was friends with my ex's brother, they had a chum group we occasionally joined in on. I did quite like him. We drifted away, as lives go separate ways, but I always liked him, and enjoyed his presence when I shared it. Yesterday I found out he passed away. Life is short. Life is precious. Goodbye. You had qualities I admired and I will miss you. In season 3 episode 7 "Not In Portland" of Lost, Jack and Kate are trying to get off the island. A mysterious woman offers her boat, but not before they rescue her boyfriend. They discover him in a kind of re-education chamber, with the message "Everything changes" and "we are the cause of our own suffering" and other messages that are quasi Buddhist, or maybe Buddhist cliches flashing on the screen. The name of the company running the experiments on the island is called Dharma Initiative. So is brainwashing someone with Buddhist cliches and calling the malevolent company Dharma Initiative anti-Buddhist? I don't think that just because "bad guys" use Buddhist words, that doesn't make the show over all anti-Buddhism. It's not clear, so we'll have to see how things end. But there was a moment where I thought the "bad" people were a kind of Buddhist cult gone wrong. I'm not more than half way done with the show. There's certainly a lot of Buddhist symbolism. 108 is the number of minutes before it resets. With the obscurity of Buddhism in America, it's a tribute to just include some ideas in a popular show. I wonder what I would feel if there was a show that was anti-Buddhist. I suppose I wouldn't like it. Usually negative comments about buddhism are oblique like when Brit Hume thought Tiger Woods should convert to Buddhism because of redemption. One writer things Lost supports Buddhist insights. Here is another. You can google for further examples. 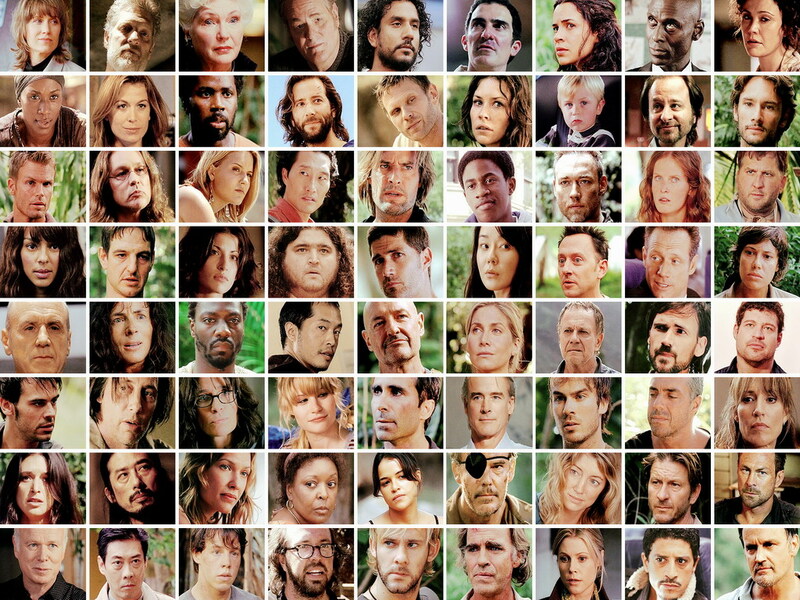 Lost certainly has a bunch of commentary. Lost has a whiff of Kalfka, you never quite know what is going on. What is that black blob? Why does everyone see hallucinations? What is really going on? Pressing the button seems like a odd commentary on the meaninglessness of current society work, it's so abstracted from meaning. But just when you think you've nailed something down, it switches. Twists and turns are the hallmark of a good drama and this was a wildly popular show. I'm just getting around to it on Netflix. You clearly see people jumping to wrong conclusions. They act out of reactive tribal minds, seeing the others as all bad. It shows how deluded we can be. I enjoy the survivalism, I like sort of back to nature narratives, without technology. I like ensamble shows, with large casts and lots of character development. And I like the Dharmic themes and references.